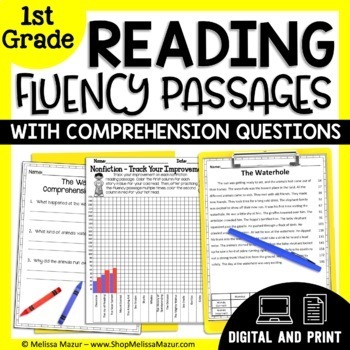 Reading Fluency - First grade reading fluency and comprehension passages - 15 fiction and 15 nonfiction. Each passage is leveled with between 250L to 520L. All passages have between 145 and 216 words. 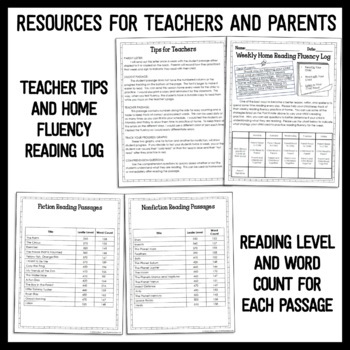 Each passage contains three components - A teacher passage with numbered columns and a chart to record words correct and errors daily. 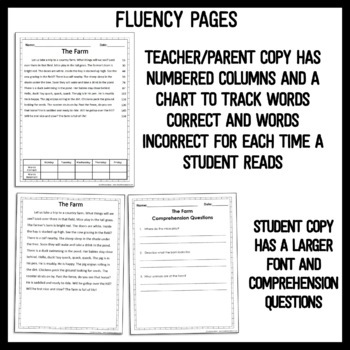 There is also a student copy which has larger font for the students to read off of while you record on the teacher's sheet. Lastly, there is a reading comprehension sheet that contains three questions in a short answer format. 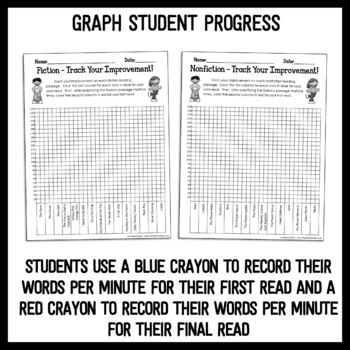 This would be perfect for any reading interventions (RTI) you are conducting in your classroom.